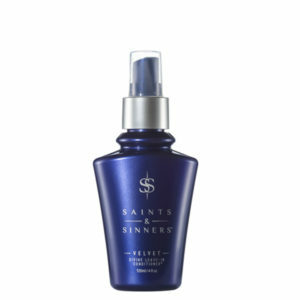 THE SAINTS & SINNERS VELVET MASQUE IS SO LUXURIOUS. MY COLOR TREATED, OVER PROCESSED HAIR IS SOFT & SHINY AGAIN. THE ENTIRE LINE OF PRODUCTS ARE FABULOUS. 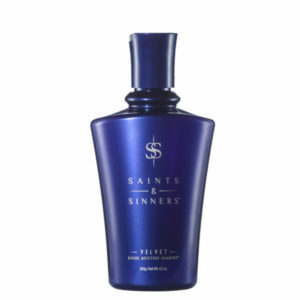 I TOLD MY HUSBAND AFTER USING SAINTS & SINNERS SHAMPOO AND THE MASQUE FOR THE FIRST TIME, THAT AFTER 46 YEARS OF HIM BRINGING HOME COUNTLESS PRODUCTS FOR ME TO TRY THAT SAINTS & SINNERS WAS ABSOLUTELY THE BEST EVER. NOW THAT I HAVE USED THE REST OF THE PRODUCTS ALL I CAN SAY IS WOW, IT’S TRULY THE BEST EVER. CAN’T WAIT TO SEE WHAT YOU COME UP WITH NEXT!!!!! I AM IN LOVE WITH THIS LINE OF HAIR PRODUCTS! THE HAIR MASQUE IS LIKE MAGIC. IT SMELLS GOOD AND LEAVES MY HAIR SO SMOOTH & SILKY! TALK ABOUT SOME #DIVINEHAIRCARE! AND THE BEST PART? IT’S VEGAN, GLUTEN, AND CRUELTY-FREE! 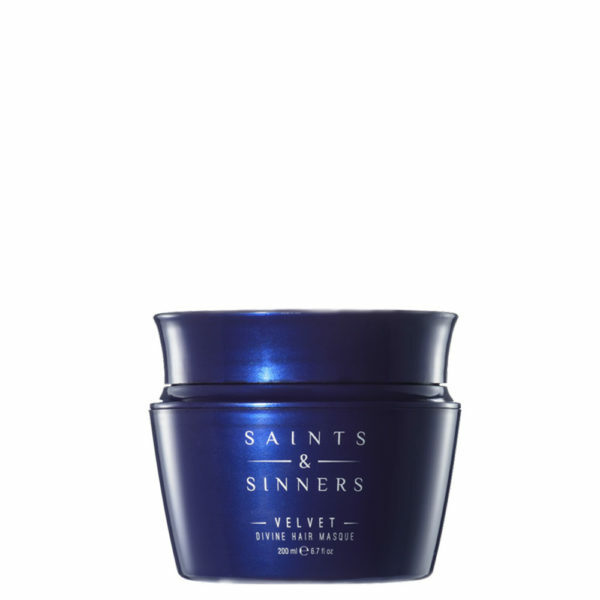 SAINTS & SINNER’S DIVINE HAIR MASQUE IS THE BOMB! A LITTLE PACKS A POWERFUL PUNCH FOR MY STRESSED, FRIZZY LOCKS. THIS MASQUE IS JUST LIKE THE PACKAGING SAYS IT IS, IT’S LIKE VELVET BUT DOES NOT WEIGH MY HAIR DOWN. INSTEAD IT WRANGLERS IN THE SMOOTHNESS AND ENHANCES THE BOUNCE, SHINE, AND VOLUME! IT'S DEFINITELY A CHANGE FROM ANYTHING I'VE EVER USED. YOU KNOW WHEN I DO MY OWN COLOR I THINK MY HAIR IS JUST RESILIENT AFTER ALL I'VE PUT IT THROUGH, BUT A FEW WEEKS AGO I LEARNED DIFFERENTLY. I ENDED UP CUTTING 6 INCHES OFF AND MY HAIR WAS AWFUL. FROM SCALP TO END I WAS SO WORRIED IT WOULDN'T BE REPAIRED. I GOT HOME, WAITED TWO DAYS AND USED THE SHAMPOO AND THE HAIR MASK... FELT BETTER THAN EVER. ONLY ONE USE. WE USE THIS ON MY TWO YEAR OLDS HAIR (REESE) AND IT FEELS AMAZING AND IS GROWING SO FAST. SO AMAZING! My hair feels like silk after using this & it smells incredible! I can rarely use hair masks as they almost all make my hair feel heavy, greasy and/or coated but thiiiiiisss, I will make sure I always have one! My brother is a hair stylist and he gave me a bunch of your products and I absolutely love them!! My hair is dry and damaged from color, bleach, and heat styling and your products have helped tremendously Mandy S. via Instagram Literally my favorite mask EVER. …all I can say is, WOW. I am in total shock. I'm in !serious! need of a good haircut and have been for the past 2 months. I used the shampoo, mask, leave in conditioner, and the styling potion. I can't see any of my split ends and my hair has never looked this good straight! (Naturally a curly girl) I'm in LOVE. When your hair is so dry it crunches - call in the big guns. This hair mask will make you purr!!!!!!!!!! !